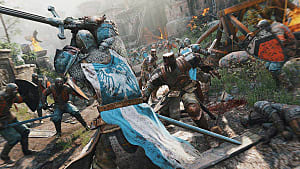 Dominion is a 4v4 mode in For Honor that plays very differently than the game's other modes. It is not all about dueling other heroes -- instead, there are objectives and minion soldiers to take out. 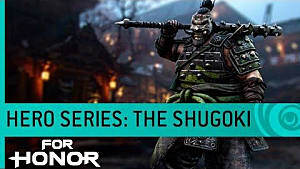 This mode showcases the uniqueness of For Honor and requires a different strategy to win. 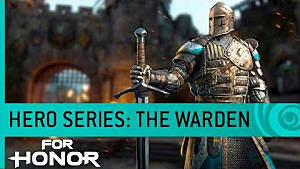 We'll help you conquer the battlefield with my explanation and tips for being successful in Dominion. 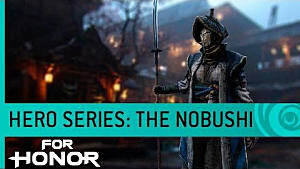 If you want general help with the game, or just getting started, Check out my For Honor Beginner Tips and Tricks. 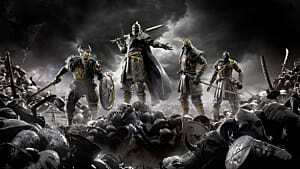 Dominion Info - Everything you need to know about this game mode. 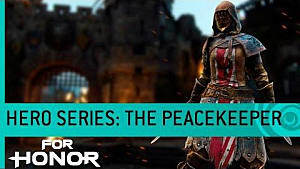 Dominion Tips - What you can do to give you the advantage. 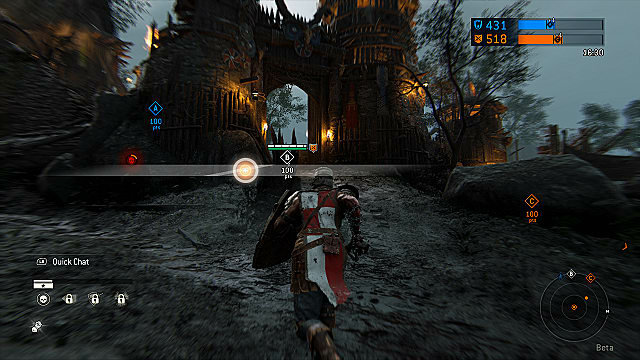 In Dominion, there are three points to capture: A, B, and C.
Point B is always in the middle and has soldiers on each side fighting to take it. You can kill these soldiers in one hit and take out many at once. If you kill enough of them, your side will gain the advantage to take POint B and push them back. Each side of the map also has their own point: A or C.
Capturing any point increases your team's score. Staying on a point will increase your score. Staying on a point you own will heal you. Killing enemy soldiers and heroes will increase your score as well. When one side gets to 1,000 points, this causes a "Break". During this time, the other side will not be able to respawn. Killing all heroes will win the match. If time runs out, the side with the highest score will win. Every time you capture a point, the other side loses points. This causes the game to go back and forth a lot, like an actual battle. Even though there are soldiers in this mode, each side still has their heroes, so be on the lookout. When killed, you will have a timer before you can respawn. You can wait for someone to revive you or respawn when the timer is up. Executions increase the respawn timer, making you unable to be revived. You can also use feats in this game mode. 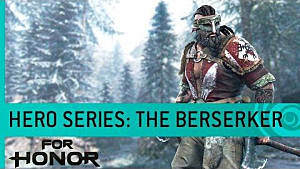 These can turn the tide of battle because they can do things like heal, shoot arrows, and throw smoke bombs. Each character has different feats, so be sure to check them before a match. Doing actions in game earns you Renown, which is how you unlock your feats. These are only unlocked in the current game, so you have to do it each match. 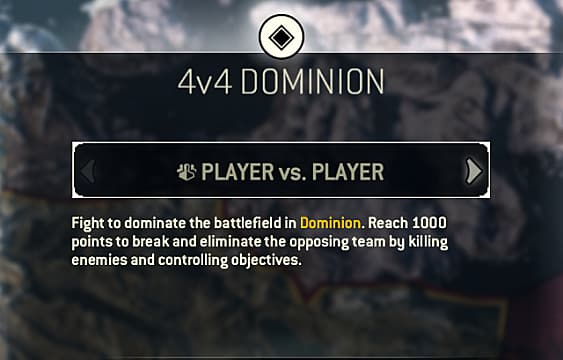 You can't play Dominion like a normal duel-type mode and you might see/do some dishonorable things. This is war and there is a lot going on. If you see someone fighting, help them out. This game mode is all about control, so you must know where the enemy is at all times -- and when you should capture a point. The mini-map will let you know where nearby enemies and allies are if you can't see them. Throw people off cliffs and into pits if you get a chance. Slide down ladders to knock people off if you have to. If you get a chance to easily kill an enemy, take it and move on. Each character type gets extra Renown by doing certain actions, such as killing enemy heroes if you are an Assassin. 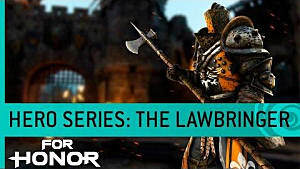 Doing these things will earn extra Renown and unlock your feats faster. 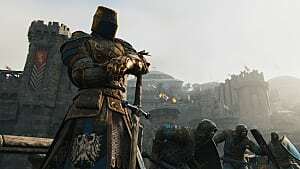 Those are all the tips we have for playing Dominion in For Honor. Let us know if you have any questions!